Last year I did a whole series of posts on bookish gifts, this year I’m going for one longer post. Some of the links on the old posts are still active, so it’s worth a little look if you like this sort of thing. 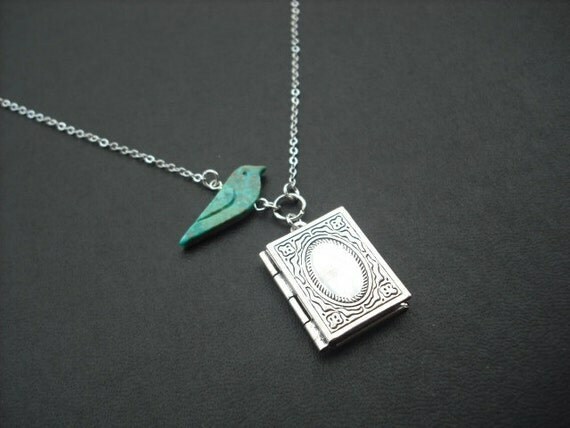 These are things you could buy for the bookish people in your life which aren’t books. This George’s Marvellous Medicine mug from The Roald Dahl Museum has the lovely art of Quentin Blake and words from Roald Dahl. There are also mugs with he BFG, Charlie and the Chocolate Factory, Fantastic Mr Fox, The Twits, James and the Giant Peach, The Giraffe and the Pelly and Me, The Enormous Crocodile, and The Witches on, but I think George’s Marvellous Medicine fits a mug more. I loved The Tiger Who Came to Tea as a kid (and I still do now really). Now the art is one of my favourite things so I really like this print avaliable at Waterstones. This simple but still very lovely cat bookmark puts me much in mind of Haruki Murakami. Also available from Waterstones. Back to etsy. 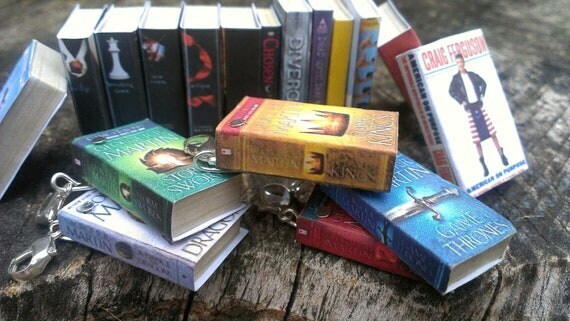 AppleBeads85 will make you any miniature book charm you request, great ways to show off your favourite book. Do look to see what she already makes before putting in your order as she may already make the book you want to request. Feeling a bit more broke? Why not make an inverted bookshelf instead? I like the mug, the necklace and the bookmark. A great idea to use it for Murakami’s novels!! lol, it is a bit peculiar, that’s what I like about it. I think Murakami’s novels should go on the bookshelf too. They would appreciate the quirky nature of an upside down shelf! I’m not a massive jewellery fan but I love that necklace it’s perfect! I find the shelf picture a bit disturbing too!! These are lovely ideas.